Obituary for Barbara A. (Clauser) Holland | Milkins Giles Funeral Home Inc.
Barbara A. Holland, 75, of Muhlenberg Twp., passed away Thursday morning in her residence. Barbara was married for fifty six loving years to Edgar Holland, Jr..
Born in Reading, she was the daughter of the late Russell Clauser and Christine (Bechtel) Clauser. 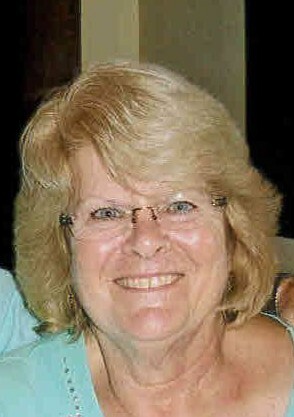 Barbara was a member of Reading North Congregation of Jehovah’s Witness in Muhlenberg Twp. Barbara graduated in 1961 from Muhlenberg High School. Barbara, along with her husband Edgar, was secretary, vice president, truck driver, and any other position that needed to be filled, of Ed Holland Trash Removal located in Temple since 1972. Barbara and Edgar just recently retired. Barbara was a loyal and devoted wife for over 56 years. She often said, “Your Dad is the love of my life.” She had an unconditional love for her entire family and wide array of friends. No matter what, she always looked for the best in everyone. She loved spending time with her family and friends and sharing the Bible’s hope for the future with everyone she could. She was baptized as one of Jehovah’s Witnesses in 1955. One of her favorite things was planning family vacations and making sure all had a full itinerary once we arrived. She enjoyed going to Delaware, listening to the ocean, and going out on the boat. Shopping sprees with the grandkids, gardening, baking, cooking, playing Skipbo, and being outdoors brought her much happiness and contentment. She was a beautiful woman inside and out and touched the lives of so many people in a way that they will never forget. Additional survivors include her loving children, Michele Kramer, wife of Jack Kramer, Edgar F. Holland, husband of Debra Holland, and Joanne Graeff and companion Eric Adams all of Temple. Also, David Holland, husband of Alana Holland of Laureldale. Also, her loving grandchildren, Dustin Peters, Danielle Craig, Rochelle Molnar, Tony Piano, Heather Holland, Taryn Piano, Edgar Holland,, Noah Holland, Kara Graeff, and Leah Holland. Barbara is survived by her loving great grandchildren, Rebecca and Shawn Peters, Hayden, Adyson, and Rosalie Molnar, and Harper Piano. Barbara is predeceased by a grandson, Shawn Peters and a sister, Janet Clauser. A memorial service will be held on Sunday, February 10th at 5:00 PM at Leesport Farmers Market Banquet Hall, 312 Gernants Church Rd., Leesport, PA 19533 with a meal and refreshments to follow the service. Interment will be private at the convenience of the family in Berks County Memorial Gardens.